2018 Parr Lumber Great Summer Chef Off Tickets Are Live! The Parr Lumber Great Summer Chef Off Presented by the Safeway Foundation is back for another sizzling year on August 18, 2018! 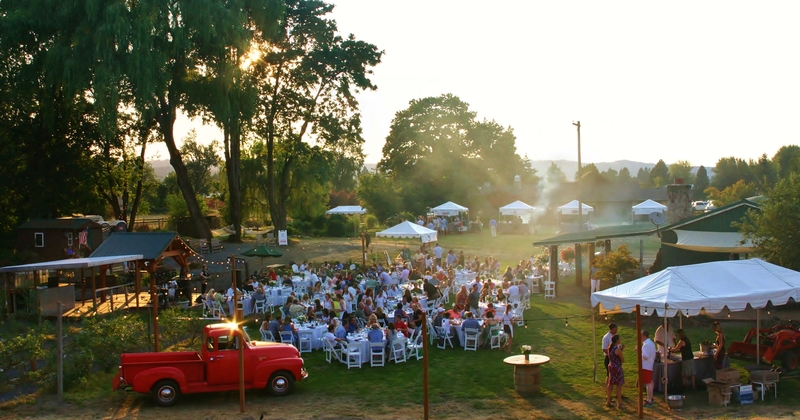 This Oregon foodie event brings together notable Portland chefs for a BBQ cook- off to benefit HFF’s scholarship recipients on a beautiful 7-acre Sauvie Island farm. St. Jack Restaurant & Bar returns to defend its title of reigning champ with the culinary genius of Plaza del Toro, Pearl Tavern, and Park Kitchen. New this year is a mouthwatering ‘dessert-off’ between Pip’s Original Doughnuts and Kyra’s Bake Shop! Enjoy wine by Domaine Drouhin, Willamette Valley Vineyards, Adelsheim, and beer by Full Sail Brewing, with live entertainment by local bluegrass band, Big Foot Mojo. At the end of the evening, cast your vote for the chef with the best dish, each competing for grand prize winnings to benefit an Oregon children’s charity of his or her choice! It’s a win-win: your support at the Chef Off benefits HFF scholarship recipients, and Oregon children across the state. Purchase your table or individual tickets, and visit harringtonfamilyfoundation.org to learn more about the Oregon Community Quarterback Scholarship.